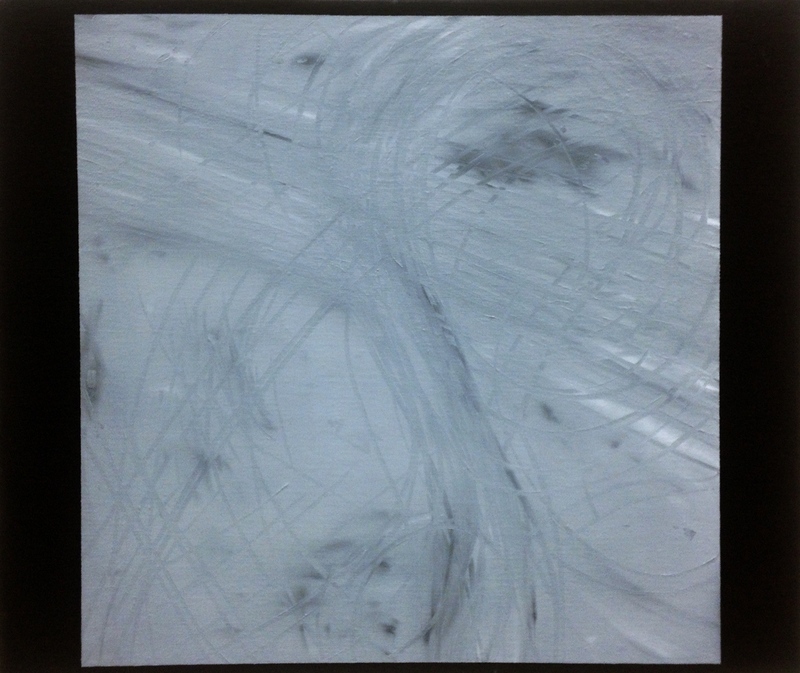 In the painting Screenshot (Tire Tracks), William Binnie employs a screenshot from footage obtained by a drone (unmanned aerial vehicle). “There is a balance of intimacy and emptiness, simultaneously thousands of miles apart and less than a mile apart”, says Binnie. In this particular work, the crosshairs, data, and intended targets have been removed, leaving only ghostly tire tracks in Afghan soil. The final composition is minimal and quiet, yet ominous and significant. The artist lives and works in Dallas. Binnie has had solo exhibitions in Dallas, Los Angeles, and Seattle. In 2014, Binnie will be an artist in resident at The Robert Rauschenberg Foundation Artist Residency in Captiva, Florida.